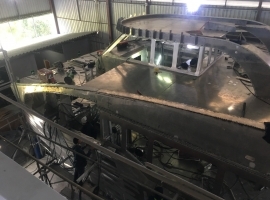 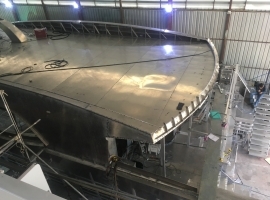 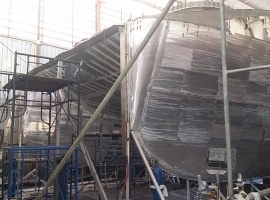 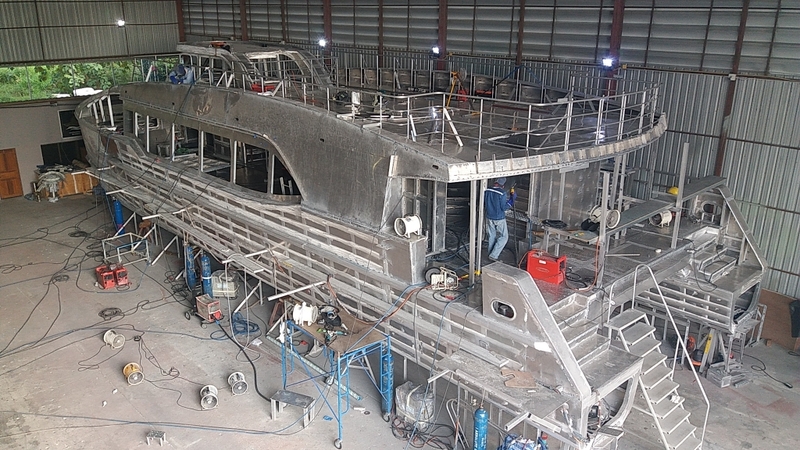 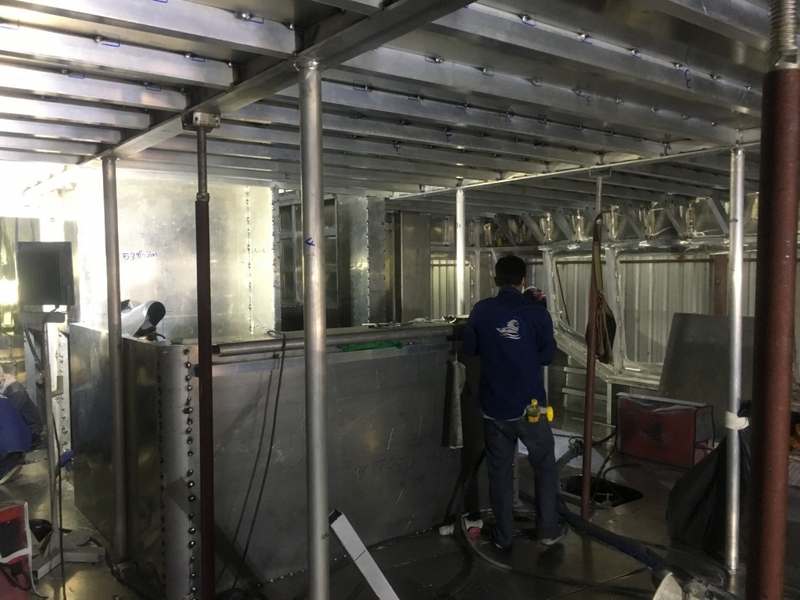 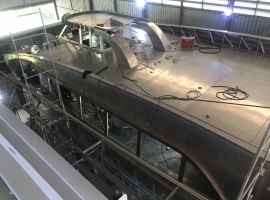 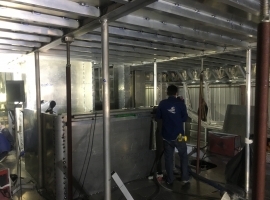 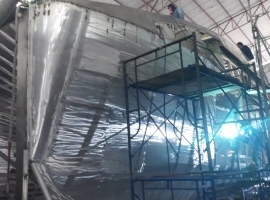 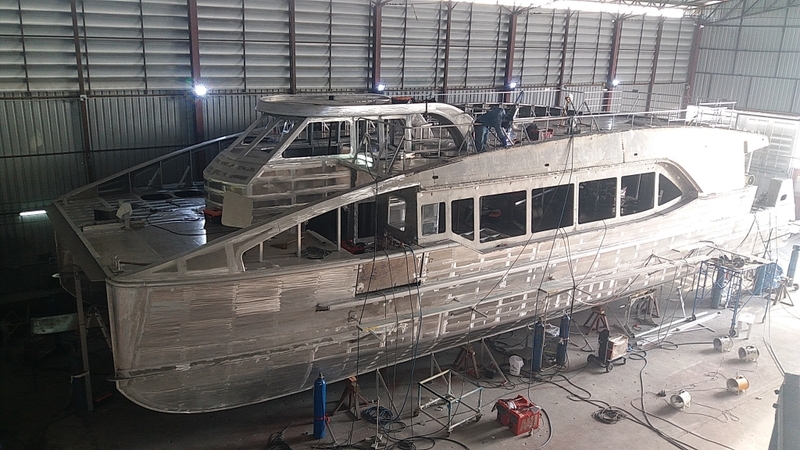 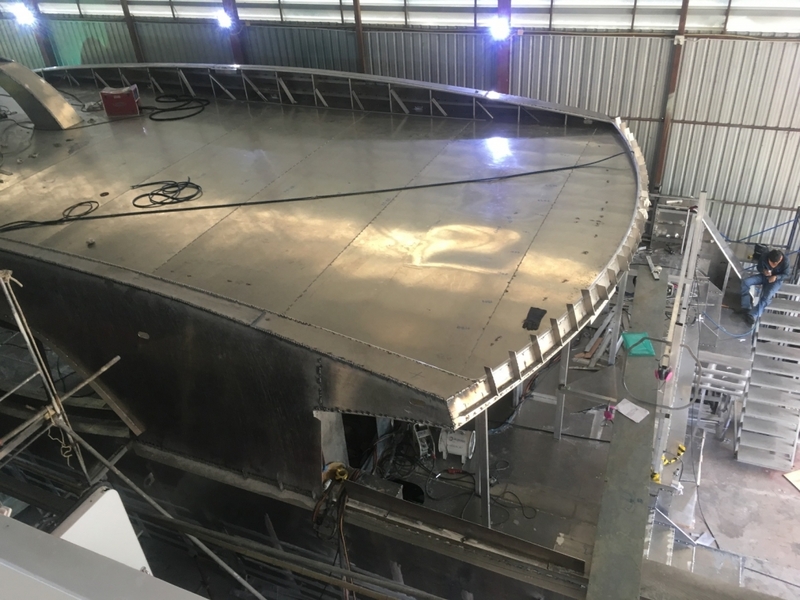 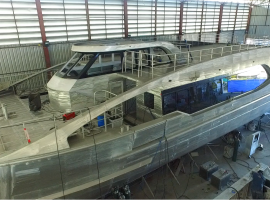 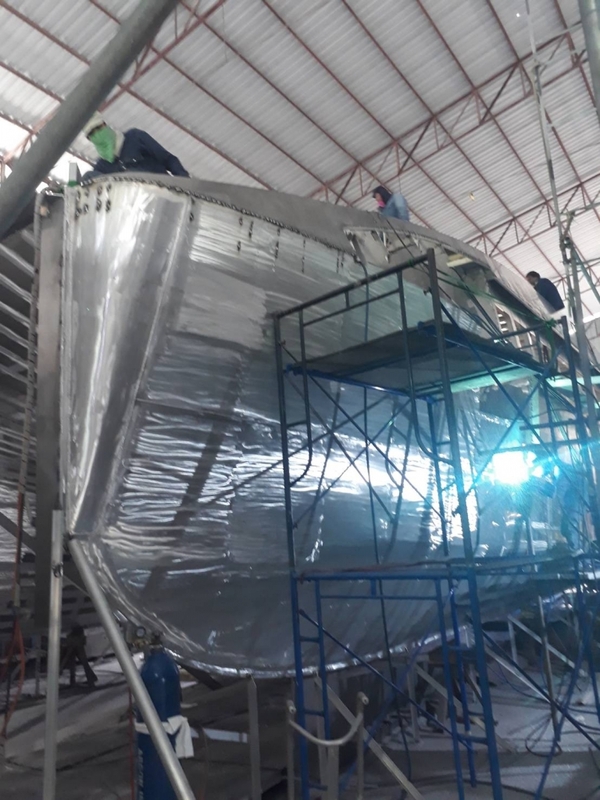 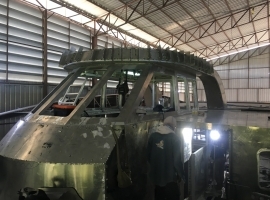 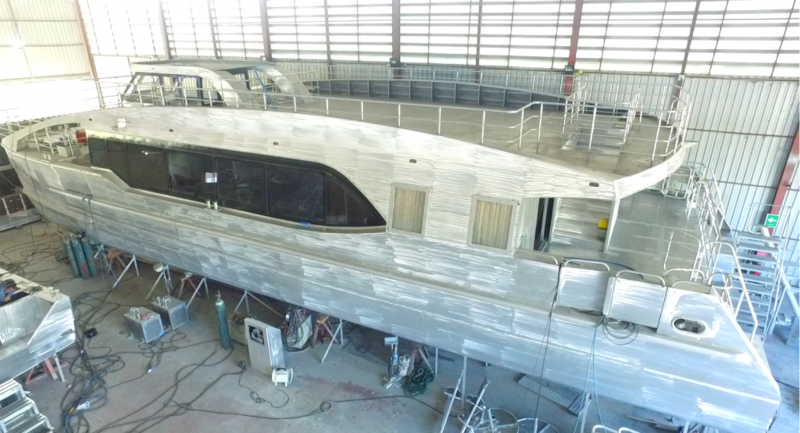 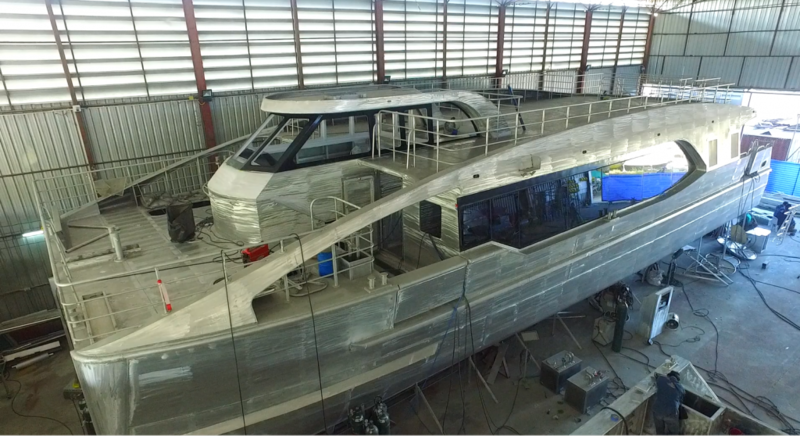 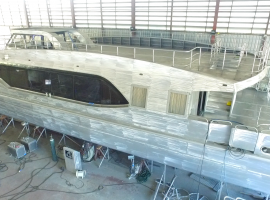 Construction is well underway of our new 22m high speed, aluminium catamaran ferry at our Thailand facility, with a possible delivery date of December 2018. 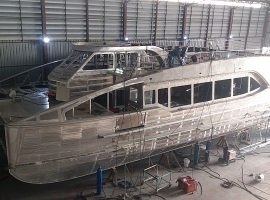 This performance proven vessel is now available for purchase. 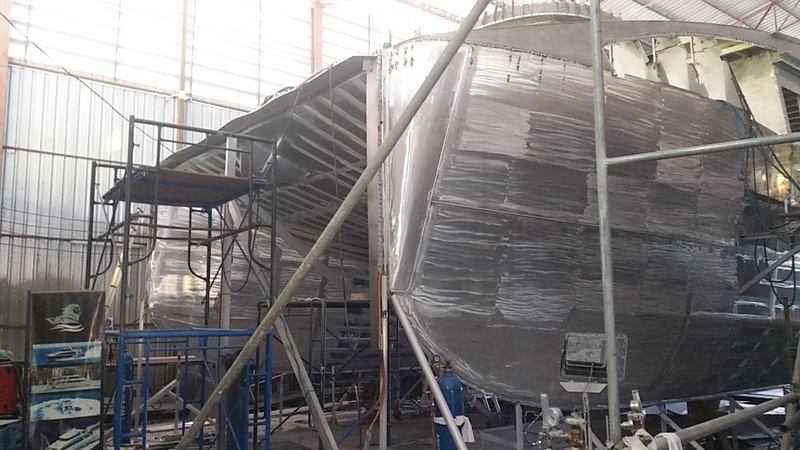 The hull is suitable for offshore services, with fuel consumption being top of the range against it’s competitors. 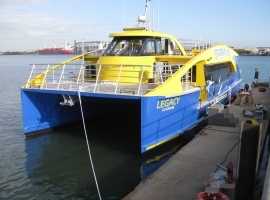 As an example ‘Legacy’ (which is its sister boat) operates daily at 23 knots cruise speed, at 1800rpm (65%MCR) with fuel consumption less than 75 Litres per hour, per engine when fully loaded. Legacy’s top speed is 28knots @ 2350rpm, with twin 740 H.P. 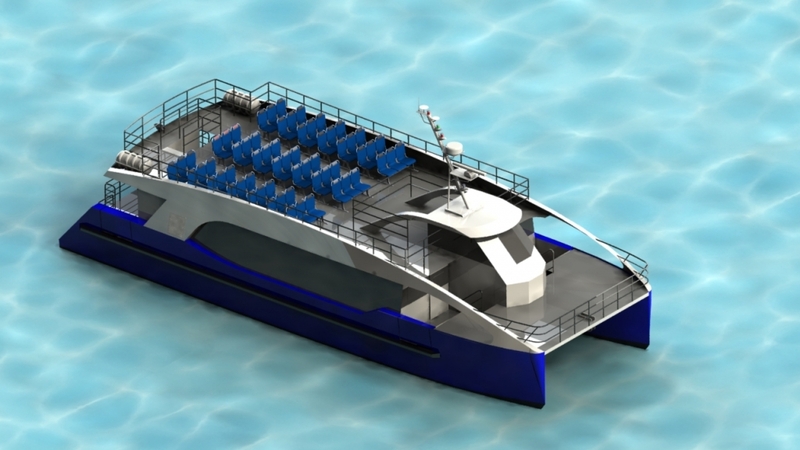 MTU engines. 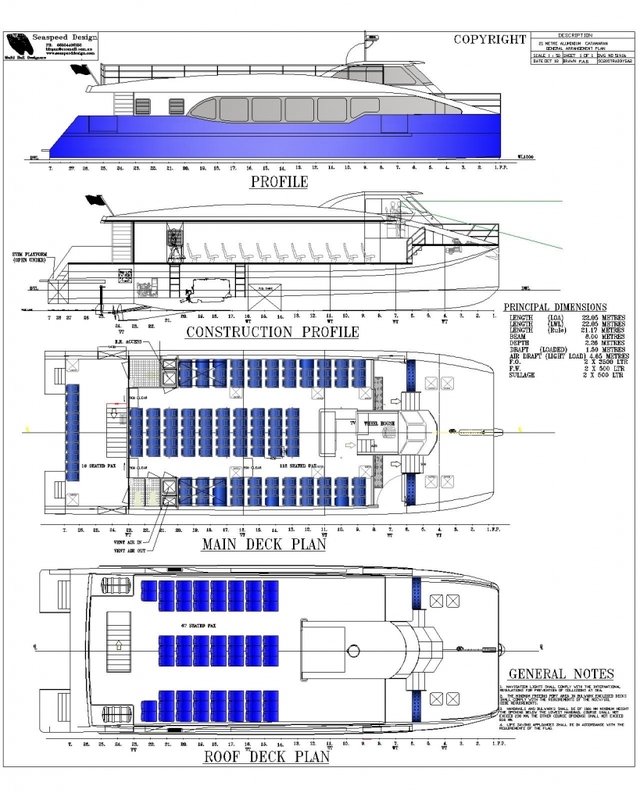 The deckhouse is now being configured as a low profile ferry/cruise version similar to Legacy. 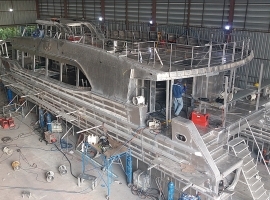 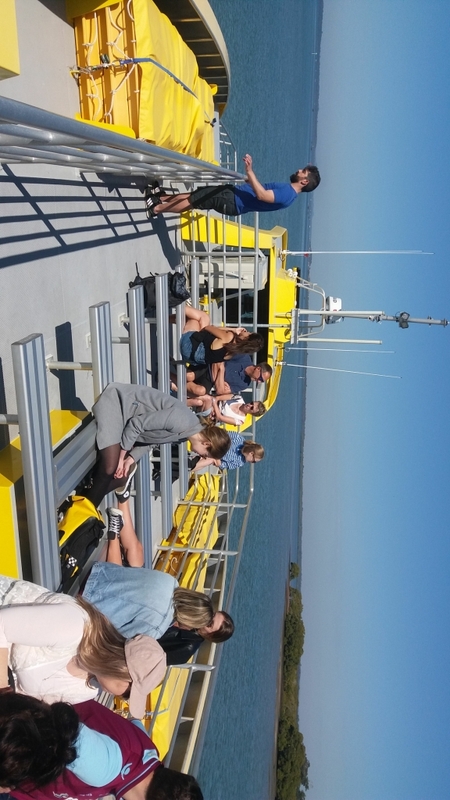 The vessel structure is designed to Lloyds SSC Passenger Catamaran G2 rules and built to comply with Australian NSCV. 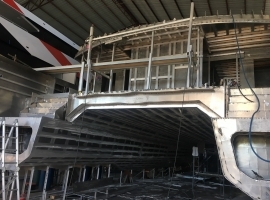 The hull form has been optimized for excellent fuel efficiency and low wash characteristics at operational speeds. 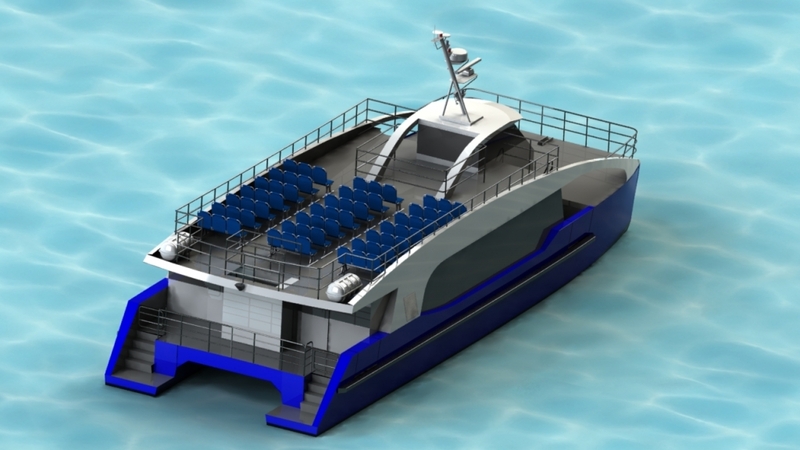 Modern, intelligent systems will support robust engineering to provide high redundancy, low maintenance and reliable long term operation. 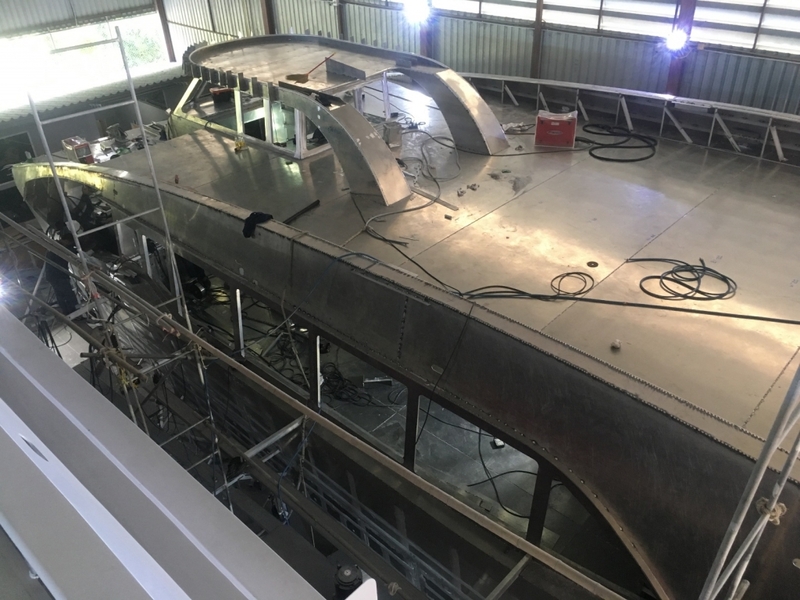 It is intended that the fire, flood and safety systems on-board will represent the latest technology combined with the best industry practices. 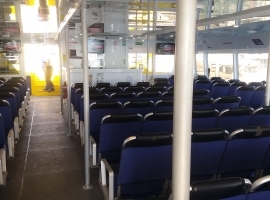 The cabin arrangement provides comfortable seating and large panoramic windows. 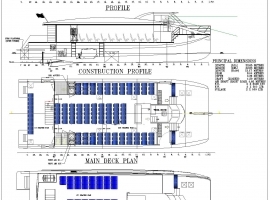 The open plan deck arrangement will provide access to all areas for light and ventilation. 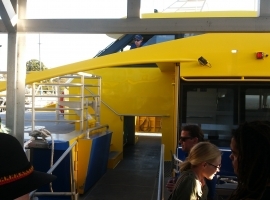 Large tinted windows provide generous views and ample light whilst reducing heat transfer into the passenger space. 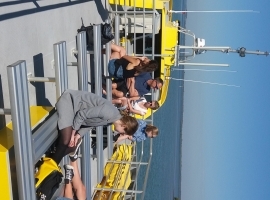 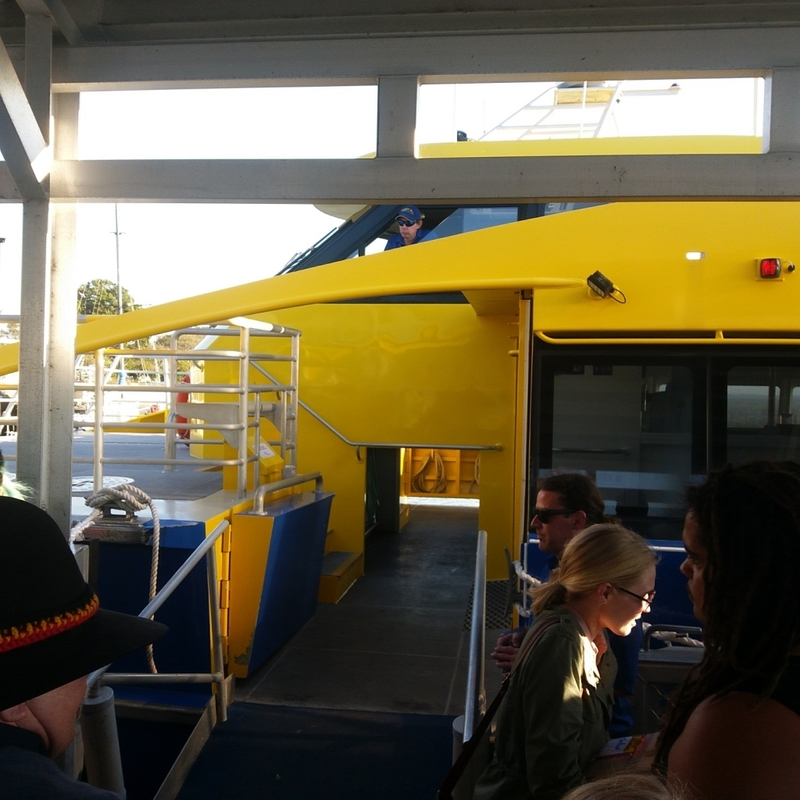 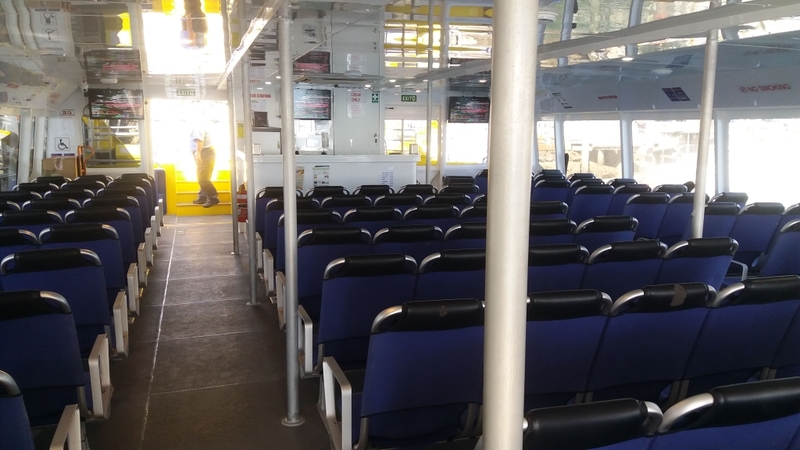 Seated passengers will be on the main deck, in air-conditioned comfort and alfresco on the upper decks. 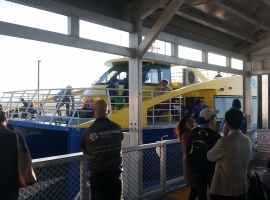 The ferry layout design allows for ease in operation – Passengers can safely and quickly load and discharge at fore and aft’ locations. 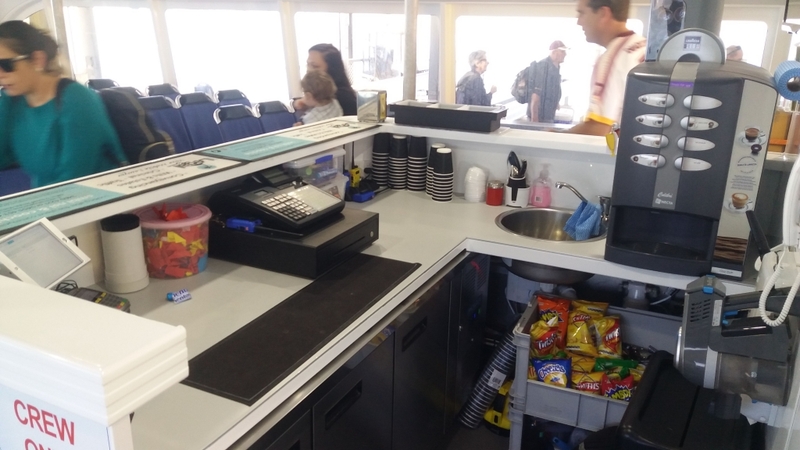 The captain is perfectly positioned to do the docking and oversee the loading and discharge. 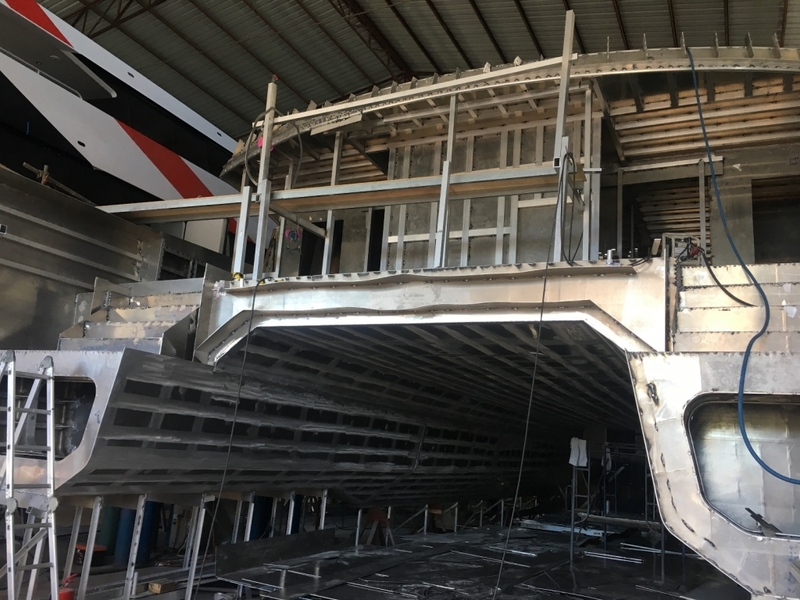 The hull can fit most engine brands however to allow for quick delivery time we would require engines that are in stock: some examples are MTU Series 60, MTU 8V2000, or Scania marine engines. 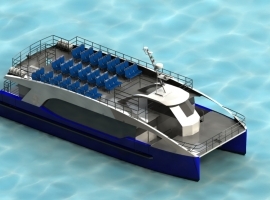 The standard propulsion options are prop/shaft with relatively low draft of 1.5 metres fully loaded. 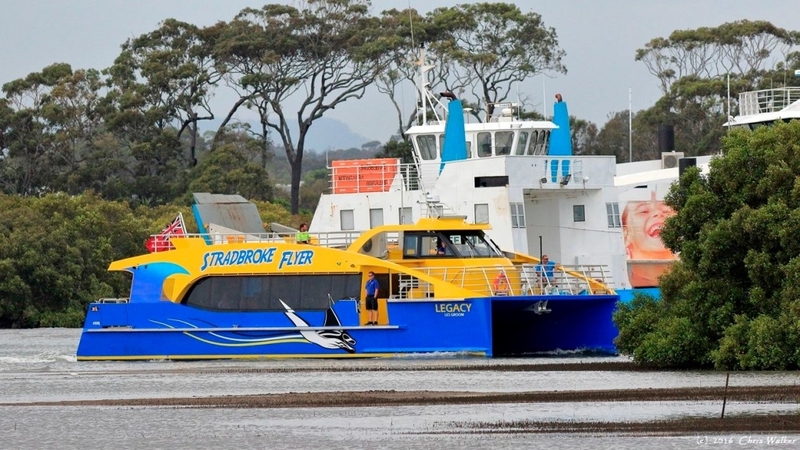 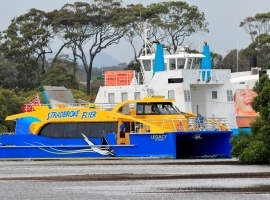 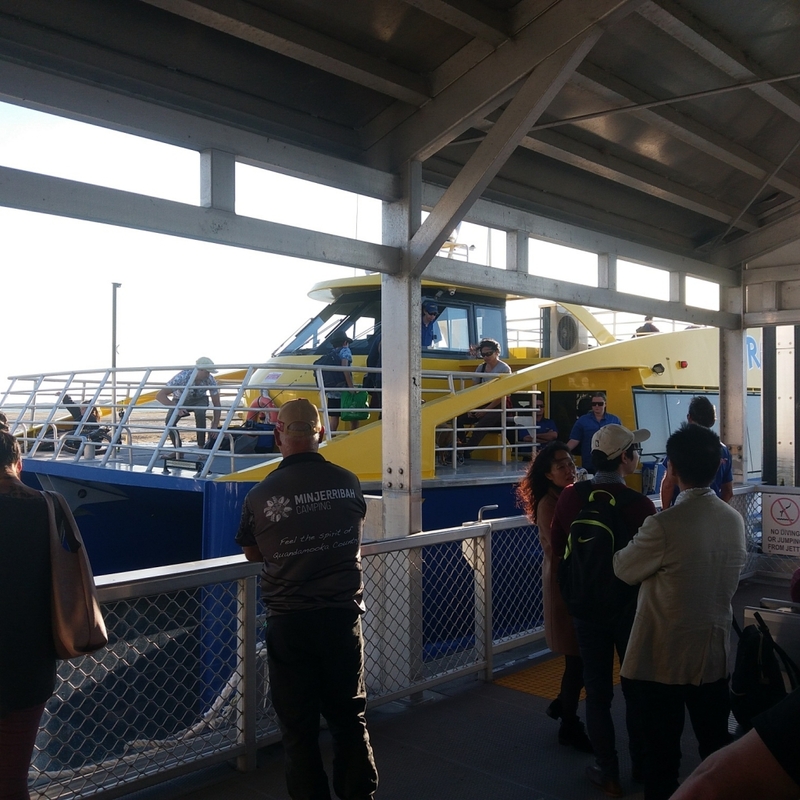 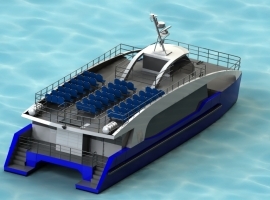 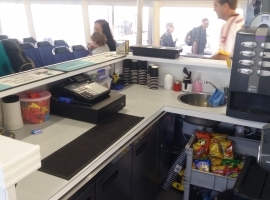 This ferry can be licensed to carry up to 200 passengers in partially smooth waters and the capacity to carry 150 passengers in coastal waters. 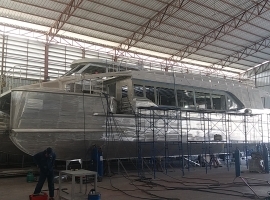 Cruise Speed 23-24 Knots with twin 700 H.P. 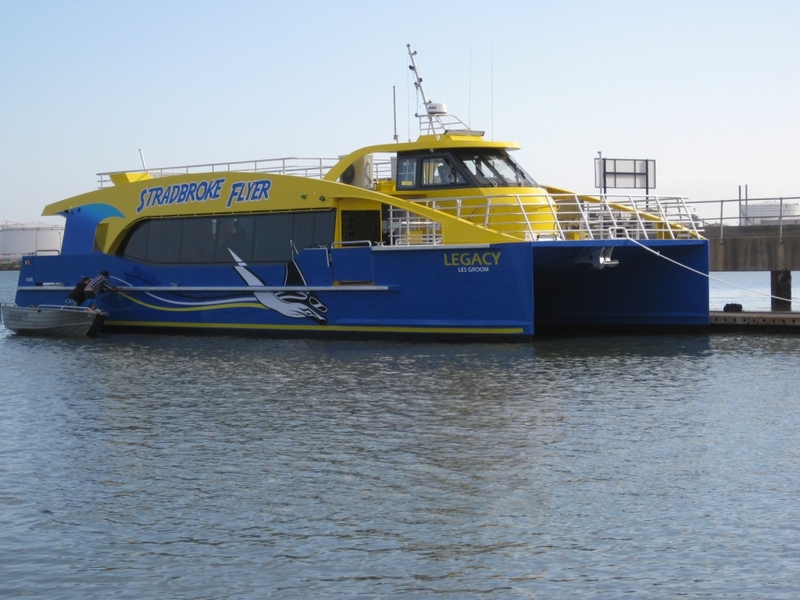 Maximum Speed 27 Knots with twin 700 H.P.